Filters: what can they do? There are many types of filters available in the market place today. I will try to group them by the method they use to filter water. Almost everyone has seen the ads for the filter that fits on the end of your kitchen sink or bathroom spigot. These filters usually use two basic types of filtration: a filter 'pad' catches the large (usually over 25 micron in size) particles or 'chunks' , and a small amount of carbon to adsorb organics and/or chlorine. Water is generally classified into two groups: Surface Water and Ground Water. Surface water is just what the name implies; it is water found in a river, lake or other surface impoundment. This water is usually not very high in mineral content, and many times is called "soft water" even though it usually is not. Surface water is exposed to many different contaminants, such as animal wastes, pesticides, insecticides, industrial wastes, algae and many other organic materials. Even surface water found in a pristine mountain stream possibly contains Giardia or Coliform Bacteria from the feces of wild animals, and should be boiled or disinfected by some means prior to drinking. 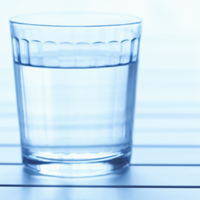 Several factors will influence when and how often you test your water. Where do get your water from? Has that source changed? Have you done any plumbing changes lately? 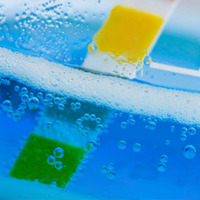 Is there reason to believe that your water is contaminated? Is there a sickness or illness in your family affecting more than one person and over a longer than normal time period? My Water Stinks! What can I Do? I have Red Stains in my Sinks and Other Fixtures -- Help! 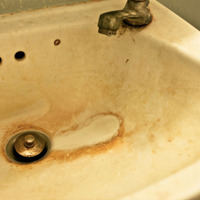 Red stains are normally caused by iron in the water. You must test to determine the amount and the type of iron you have. Some types are: oxidized, soluble, colloidal, bacteria or organic-bound. All are a problem! It only takes 0.3 ppm to stain clothes, fixtures, etc.